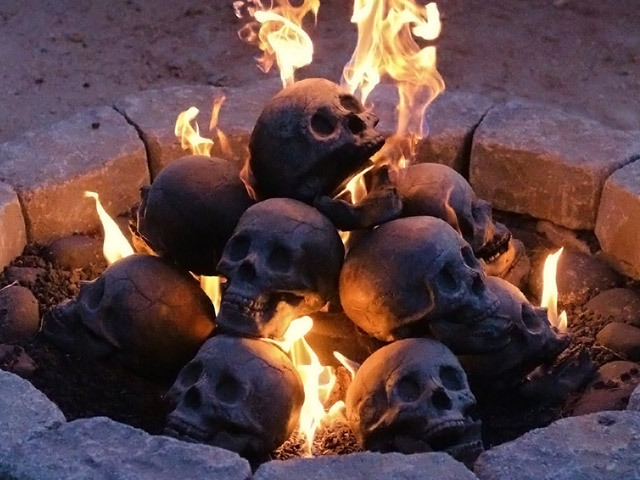 These life size deluxe skull-shaped fireplace logs from Myar come in black, white, and brown. From the photos, it looks like the mandibles can be open, closed, or removed entirely so you can get the perfectly arranged pile of skulls in your fireplace. Each skull is highly detailed (just look at those cranial sutures!) and hand-painted. 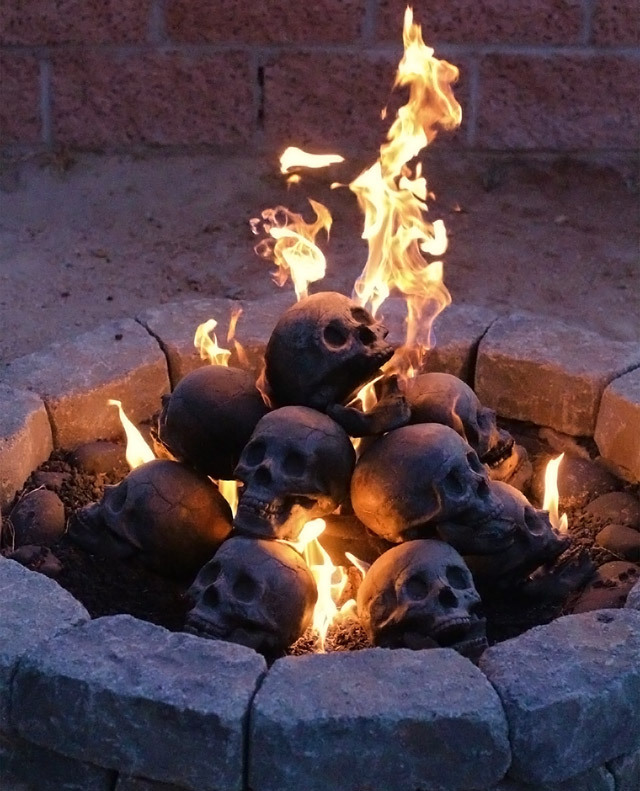 They are made of fire proof steel-reinforced ceramic and lava granules, and heavy enough that they won’t blow away if you leave them outside in the fire pit. 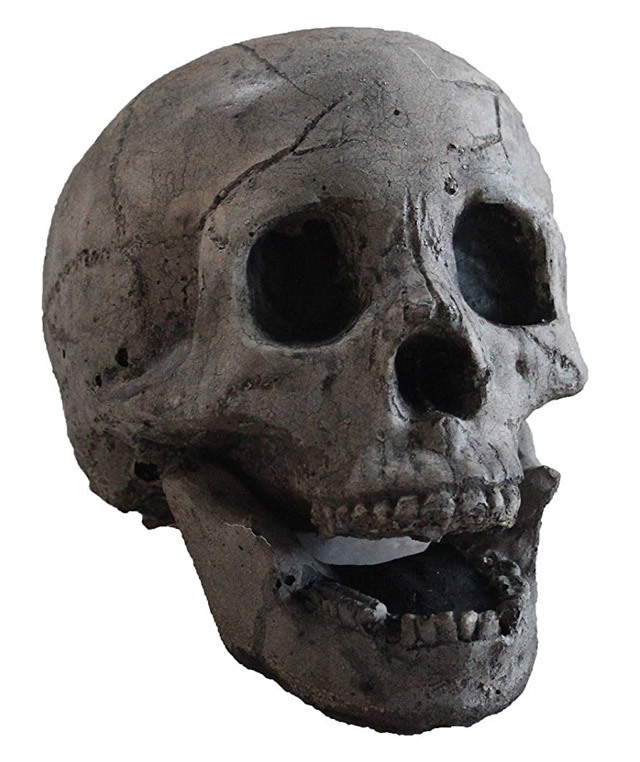 These skulls are a bit pricey, but totally worth it. 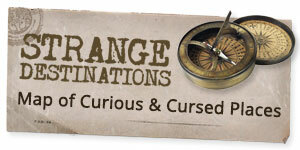 Find them on Amazon right here. Dude, I didn’t read the article. I come to the comments section for the answers in order to avoid reading more than I have to. How about you guys all quit complaining and wasting both of our time and just answer Tim’s question? If you had one or one similar to it, you could cast it in concrete and make lots. They wouldn’t be as durable in the fire but as they broke down I think they’d look pretty cool. They work best with a gel, propane or gas fueled fire pit. SO how do they work? Do they burn on their own? Do you stack them on a working fire? read the article… its right there. Hey Alex, why don’t you just answer the question? Maybe some people don’t want to read the goddamn article. They’re fire proof. I think you can figure it out from there. Are you seriously asking this question? C’mon man… you’re giving Tims everywhere a bad name. Did you read the article?